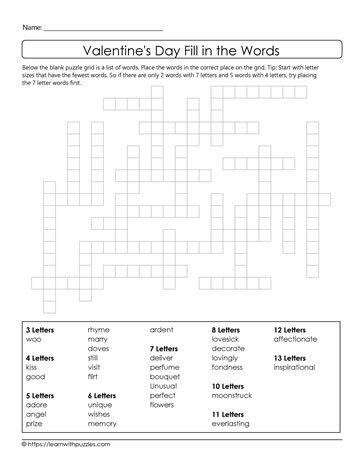 Engage vocabulary building skill for students using this freeform crossword puzzles. Below each puzzle grid is a list of words. 30 words fill in the blanks in the grid. Puzzle Solving Tip: Start with 3-letter, 10-letter, 11-letter, 12-letter, or 13-letter words because each of these categories has the fewest words.